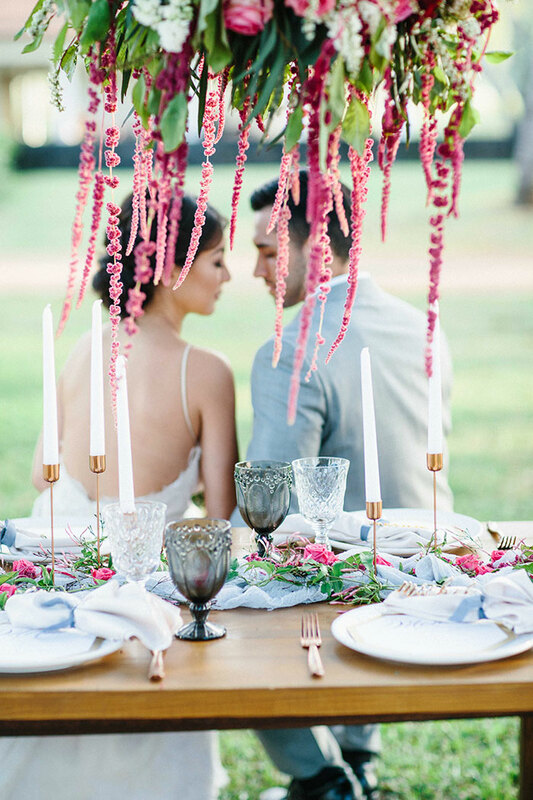 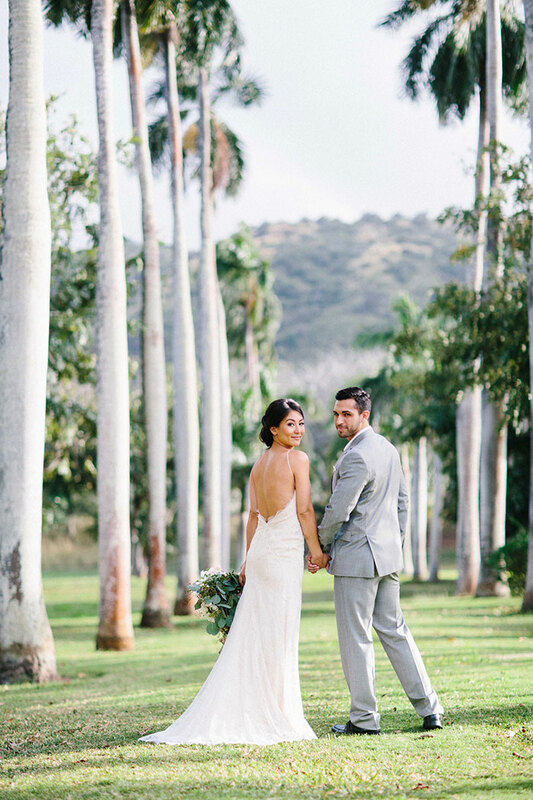 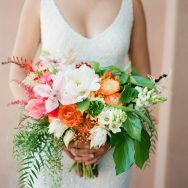 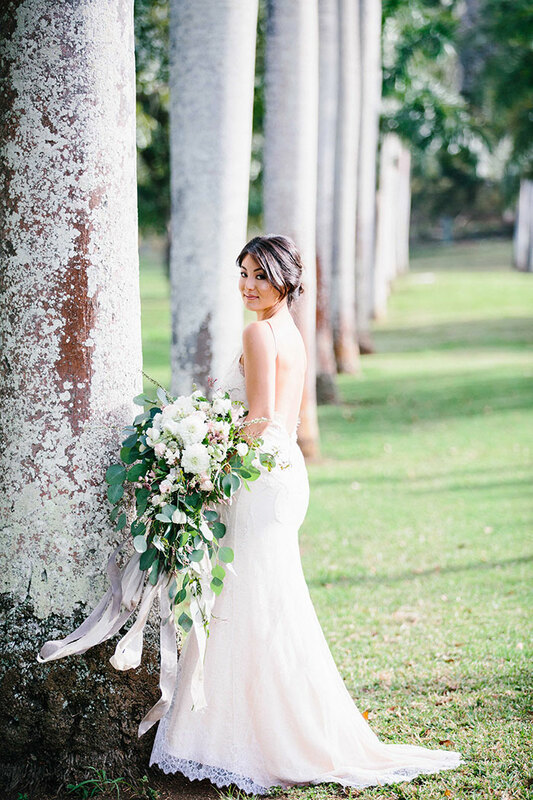 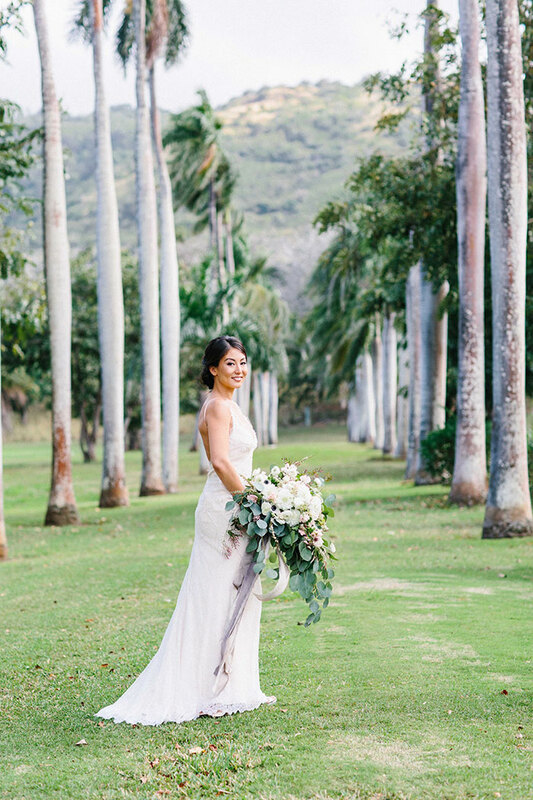 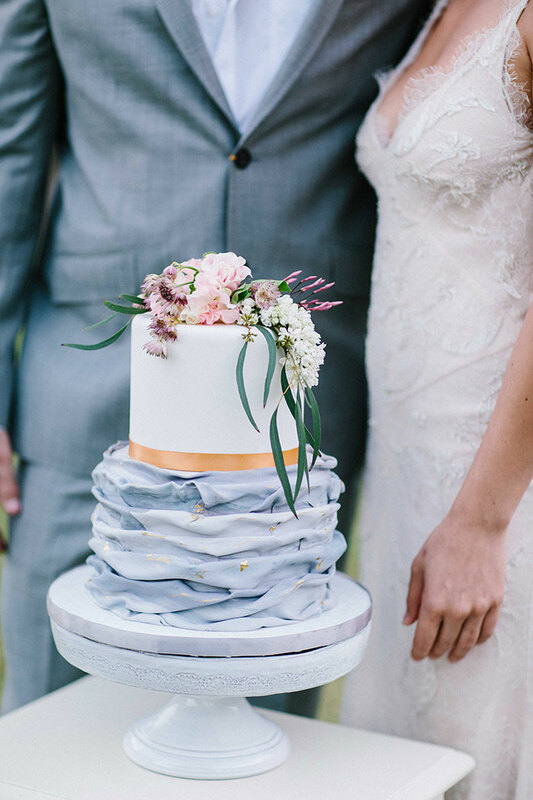 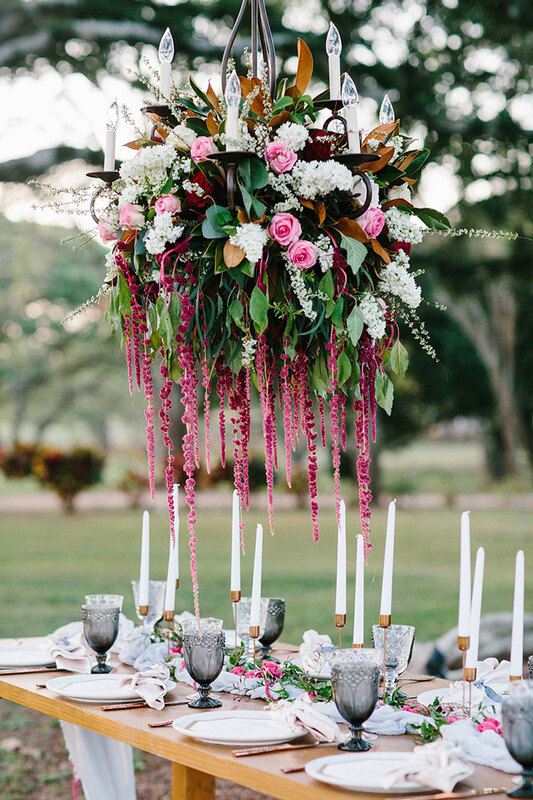 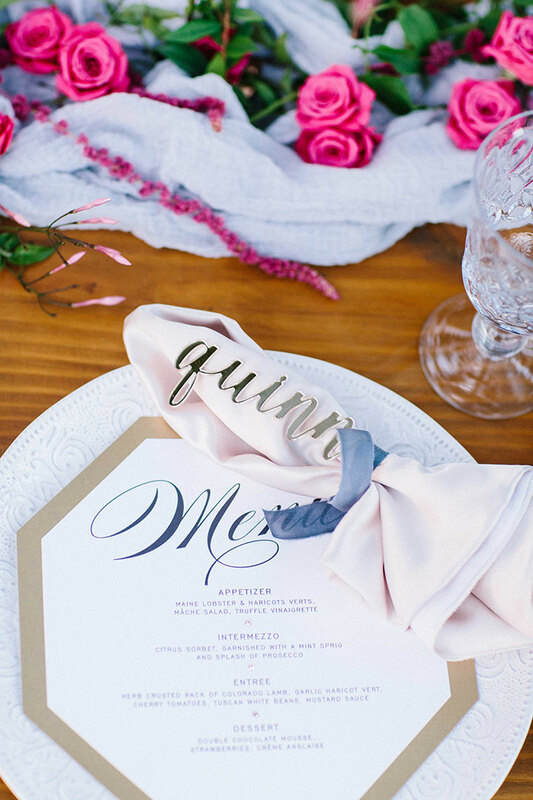 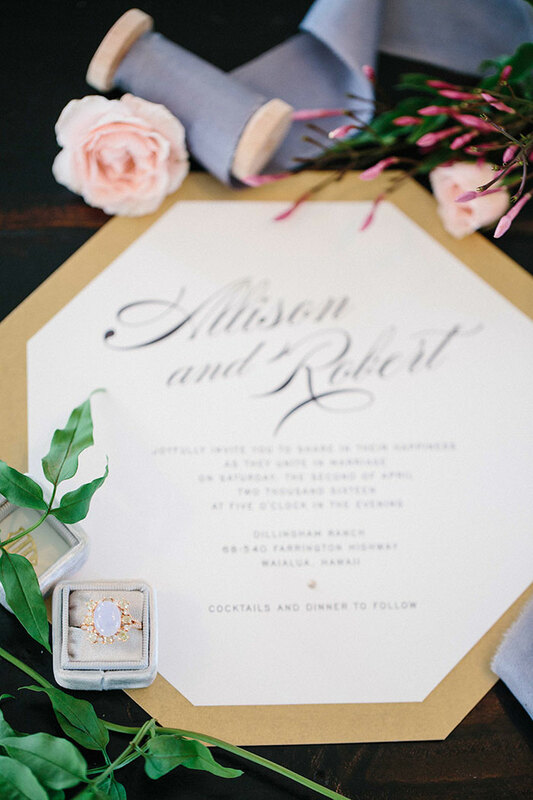 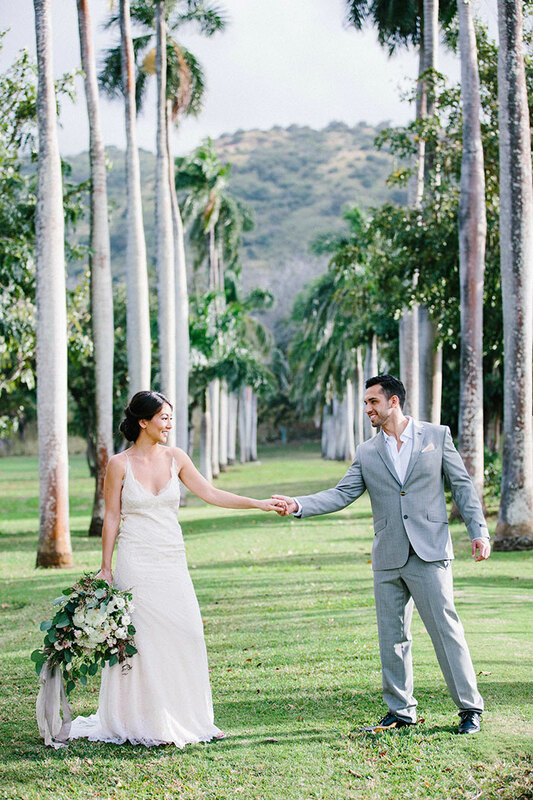 Dillingham Ranch in Oahu, Hawaii provides a tropical backdrop to this romantic styled shoot designed by Kristen Moux Events. 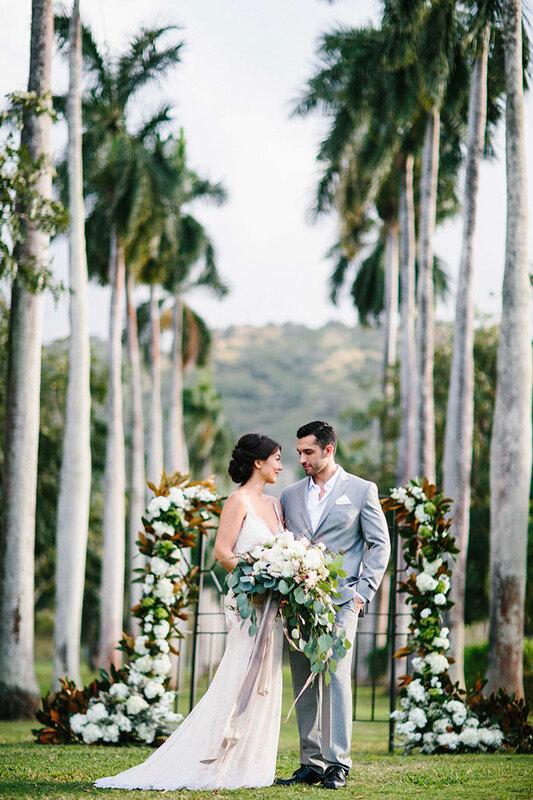 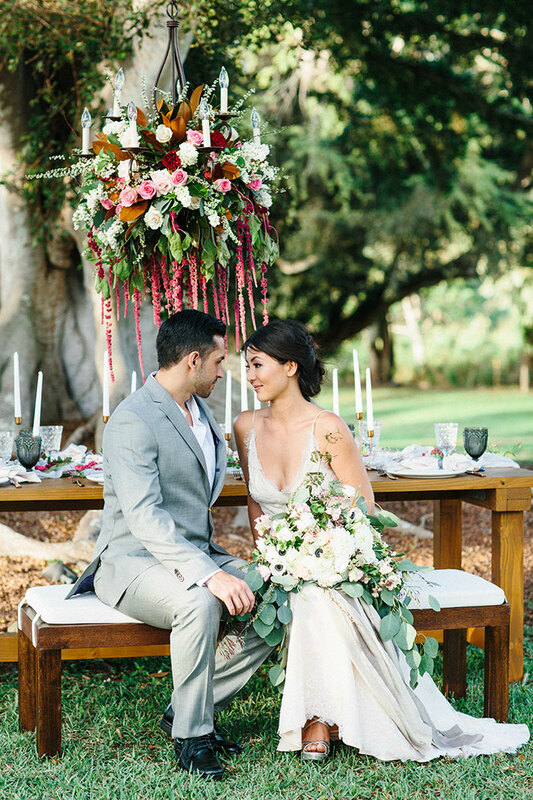 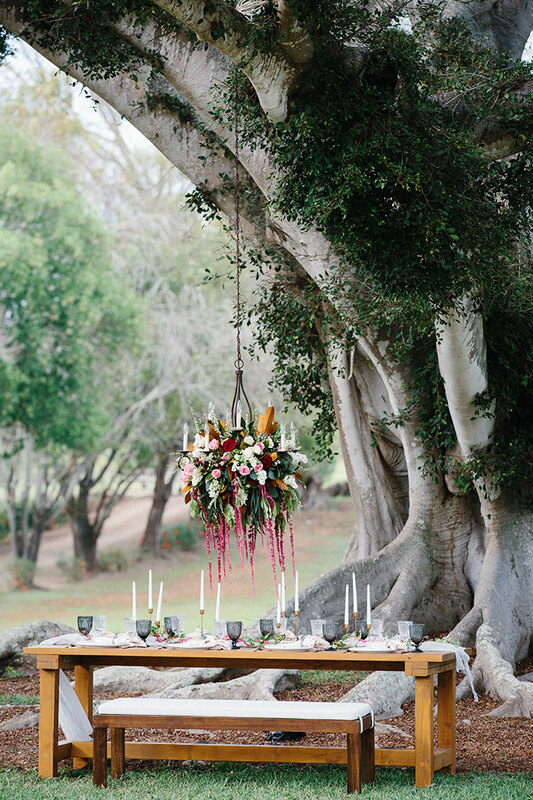 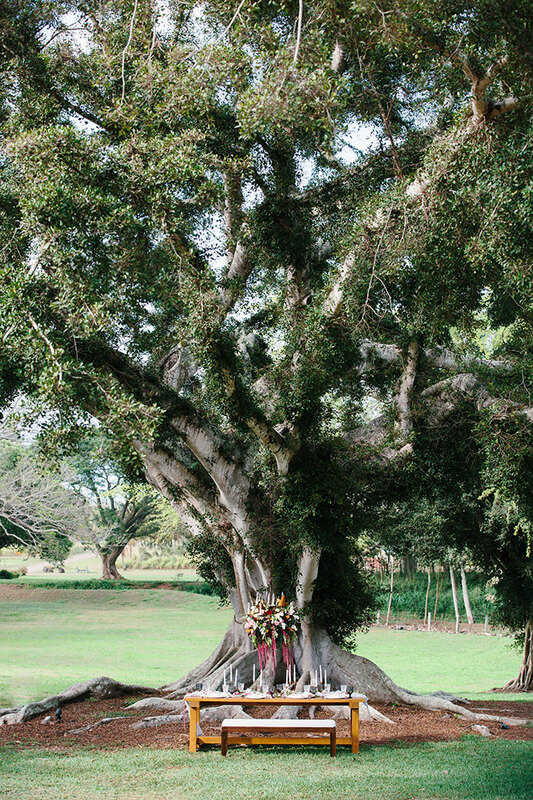 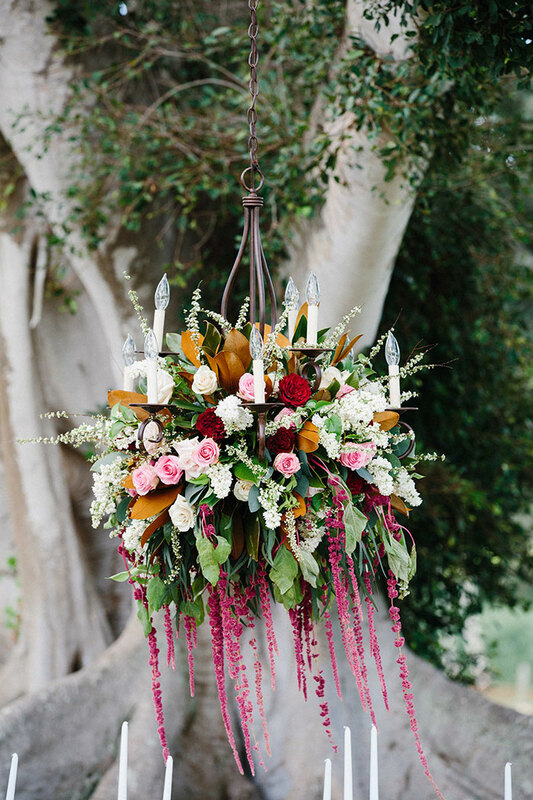 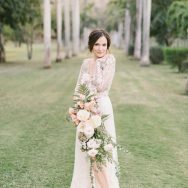 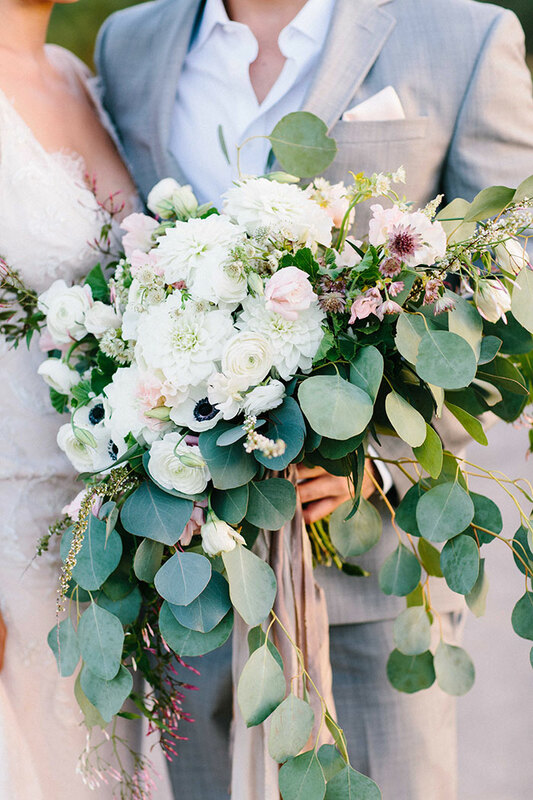 Celebrating the natural foliage of the setting, the ceremony takes place in front of an avenue of royal palms and a reception awaits the couple beneath an old banyan tree. 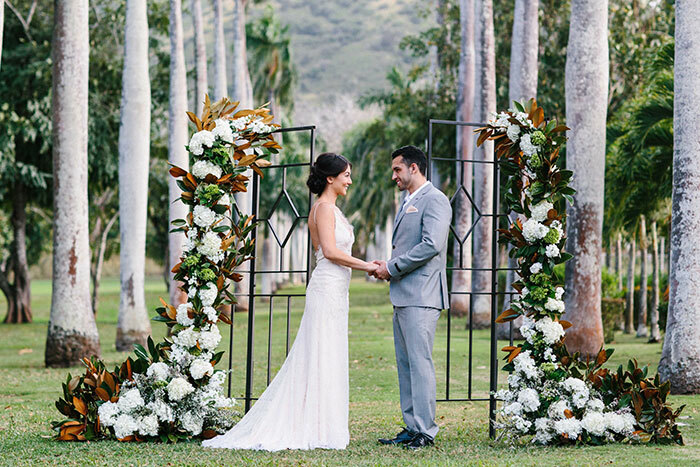 We love the whimsy of the hanging floral chandelier and the drama of the white blooms on the ceremony gate by Floral Inspirations. 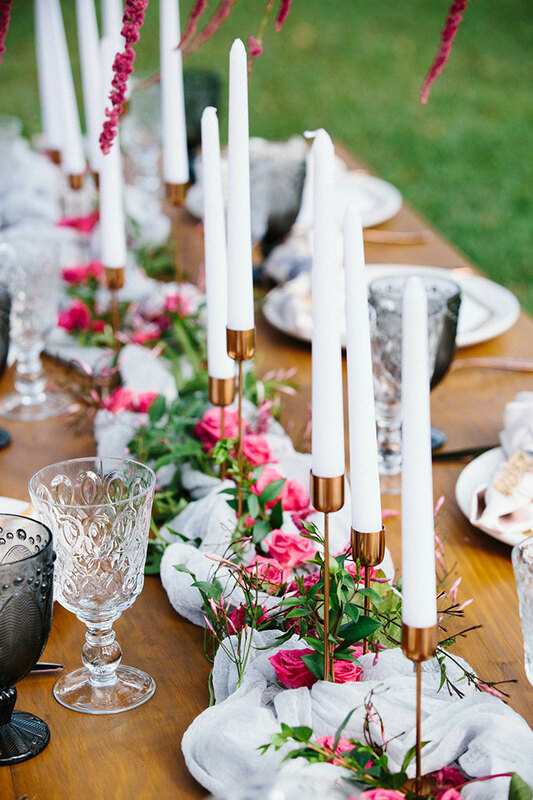 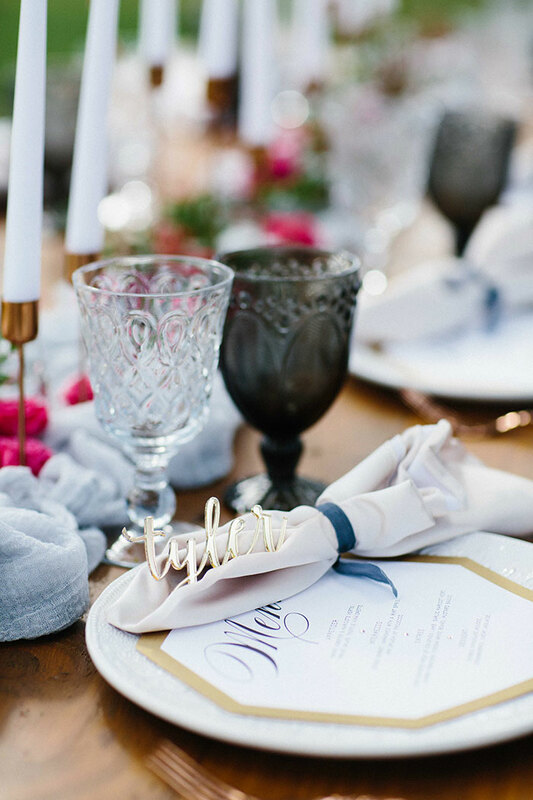 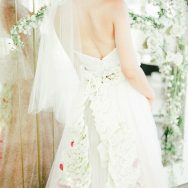 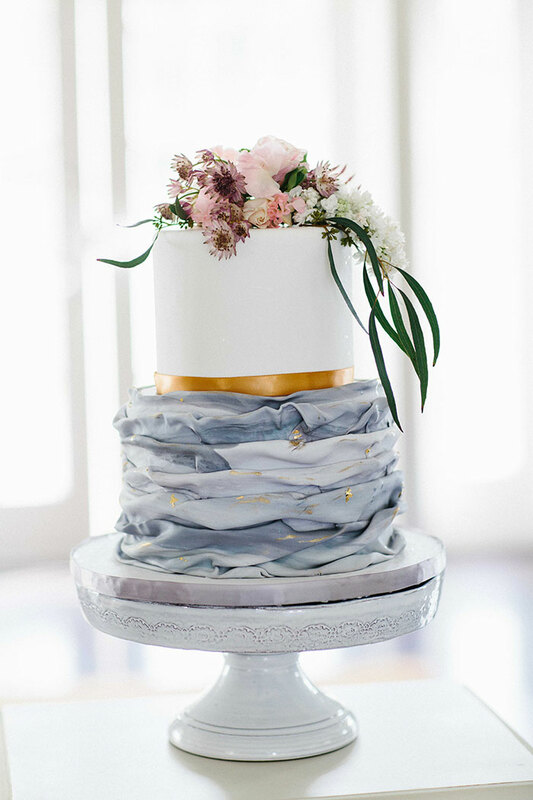 All the sophisticated, destination elegance is captured Absolutely Loved Photography for you to enjoy below!